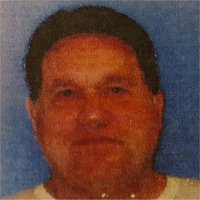 Donald L. Koesterer, 73, of Belleville, Illinois, born Monday, March 4, 1946, in Belleville, IL, passed away Monday, April 8, 2019 at Mercy Hospital St. Louis in Saint Louis, MO. Donald was a retired Maintenance Man for Freeburg Grade School. He was a member of St. Peter’s Catholic Church Belleville Illinois, and a United States Army Veteran. Services: Private graveside service with Military Honors was held at 10:30 am, Thursday, April 11, 2019 at Jefferson Barracks National Cemetery, St. Louis, MO with Chaplin Rich Tudor officiating. I miss you so much and you are my world. I am so happy you are not suffering and that you are at peace.